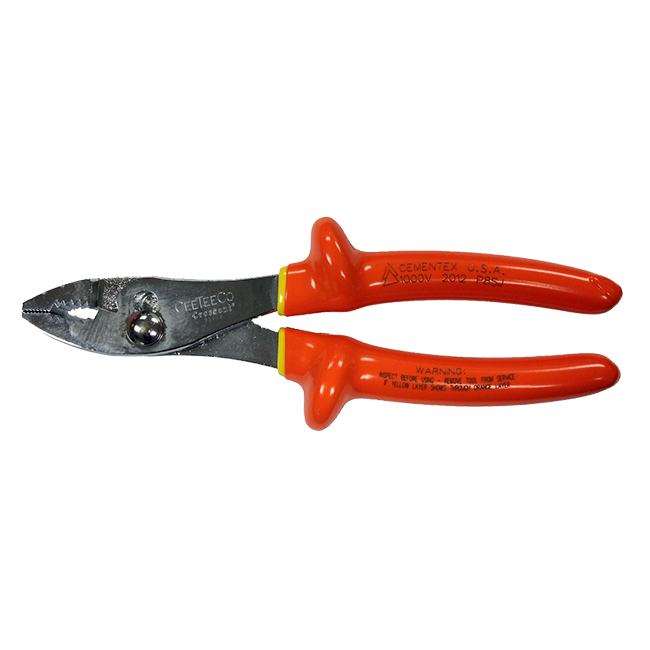 Slip joint pliers are designed from gripping and turning round objects such as pipes, rods, and pins. Curved jaws combination with machined gripping teeth and wire cutter. Forged from carbon steel and accurately machined, hardened and tempered. High-visiblitity, ergonomic comfort-grip handles have slip guards.